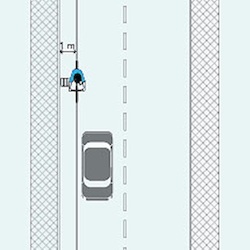 Keep at least 1 meter distance from road side and parked vehicles. 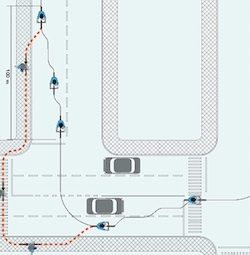 Avoid obstacles and be noticed by drivers. when looking ahead to choose your best line. You may get unexpectedly hit by an opening door! 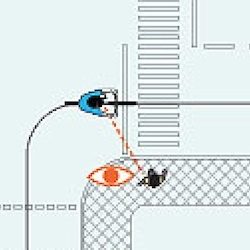 When turning Left, move steadily, about 100 meters before the junction, towards the Left edge of the lane. WALKING the bike (orange line) over pedestrians crossing. 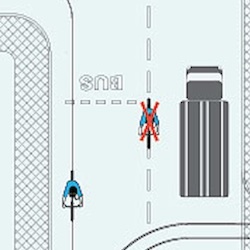 When showing from the right, cyclists have the right of way at any junction with no road signs. 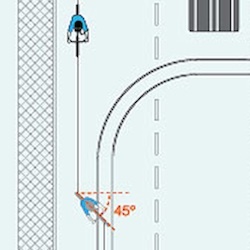 An experienced cyclist should be able to look over the shoulders and go along with traffic. take the lane about 50 meters before the junction. 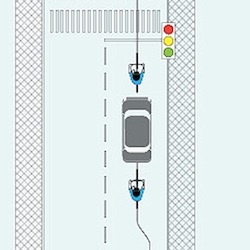 Avoid the “right hook”: being overtaken by drivers who want to turn right. 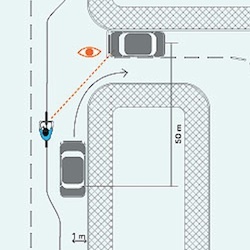 Look for the eyes of other road users. and pedestrians along the way. Always place yourself in the center of the lane. 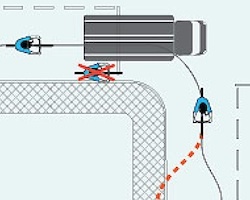 Do not stay side by side with any vehicle while waiting. 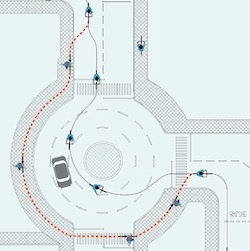 Pedestrians tend to trust their ears, when crossing a road. Because bicycles are silent, they may not be expected. Stay alert and ring the bell to avoid accidents. Watch Out! When Passing or being passed by a long vehicle. 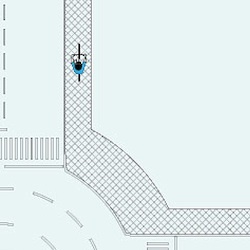 The rear part of the vehicle may swing over towards you. 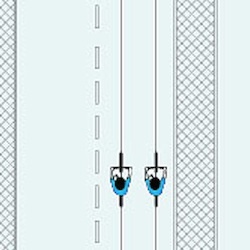 Stay in the center of the lane before the overtake. 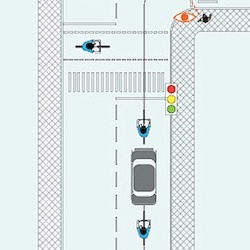 Long vehicles have narrower visibility and hazardous blind spots. as long as pedestrians are not put at risk. Cyclists already in the roundabout, have right of way and should should give way to those willing to exit. Keep looking over both shoulders for other vehicles. If needed, indicate your intention of staying in the roundabout using your left arm. Usually not legal, but often preferred choice. BUS lanes are often a preferred choice of many cyclists. 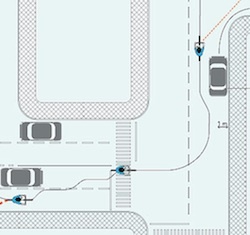 When safe make it easy for buses and taxis to overtake you. Never ride over the line between lanes. 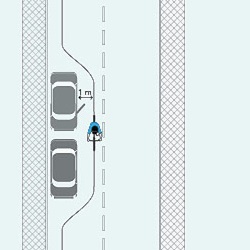 Ideally bear away just before crossing them then ride with both wheels at a 45º angle or more. In some cases it might be safer to ride on the left of the tracks. and traffic is not disrupted. When safe make it easy for others to overtake you.